Posted by Rob Schaerer on Friday, October 31st, 2014 at 10:35am. 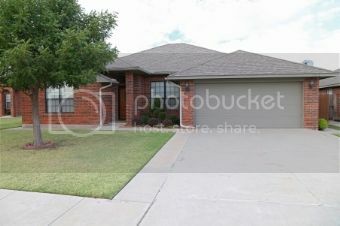 Close to OU and move-in ready! Come tour this great home and see the new carpet and paint! 4 Bedrooms, 3 Bathrooms, and 2 living areas. Granite countertops in the kitchen, which is open to the living room. Split bedroom plan with large master bedroom and closet, with double sinks and separate shower and tub. Enclosed patio is not counted in Sq. Ft. but is air conditioned. Directions: From Classen and E Lindsey, Go South on Classen, East on Woodcreek Dr, North on Hazlewood Dr which curves East into Sumac Dr. House is on the North side of the street.